The message itself may feel like the most intimidating part of the card, but it doesn’t have to be. Actually, it should be the most simple thing you do all day. You don’t want to write an overly complicated business holiday card message so try not to over think this too much. Your messaging, like the rest of the card, should reflect your branding. Think about cohesion when it comes to the whole package — which includes everything from the design on the front, to the message on the inside and even the font that you decide to use. Use your branding as kind of headlight to help lead the way in making these decisions. But regardless if your company has a friendly, almost goofy brand or a serious and formal feel — all business holiday cards should have a few things in common. Here are our tips to get you thinking. You may have a million things you’d like to share with your customers. We totally get it. But try to stay away from making your business holiday cards a novel. You want to keep your message short and sweet. 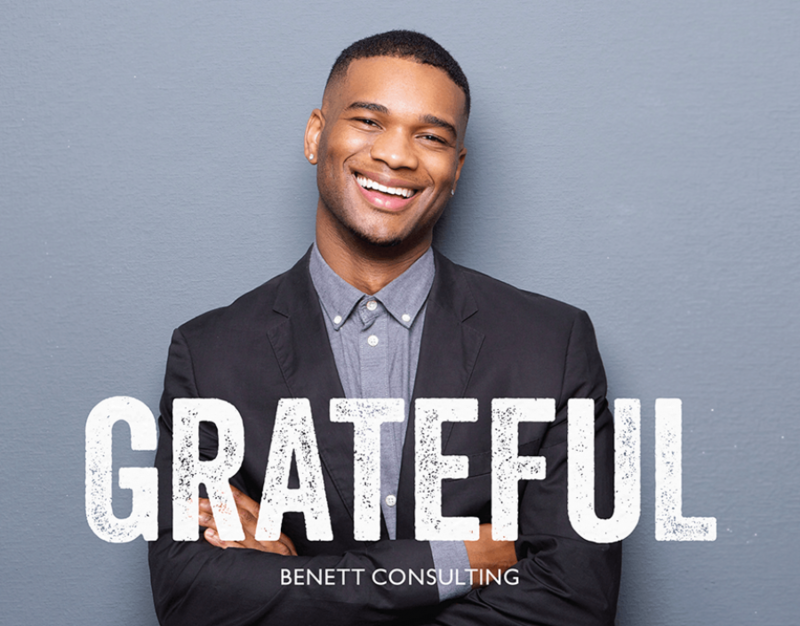 Keep their attention long enough to let them know you’re grateful for their business and your message of seasons greetings. Also something to keep in mind — holiday cards aren’t full sized letters. They tend to be smaller in size and so the length of the message should be altered appropriately. 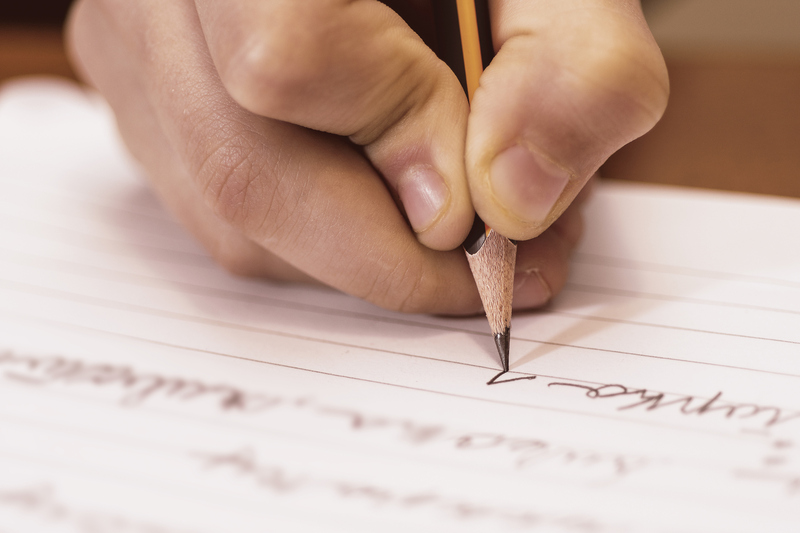 The more you write, the smaller the font will need to be. You don’t want your recipients squinting their eyes in order to read your message. Unless your company centers around a certain clientele and you know for sure all of your clients celebrate the same thing, keep it generic. This way you’re not isolating any of your customers. Keep your messaging to something along the lines of Happy holidays or warmest wishes. Ok so generic AND personal? Yup. It’s totally doable. When we say generic — we mean the holiday in question (see the note above). When we say personal, we mean the messaging. The best gift that snail mail gives to businesses is this ability to create a relationship with your customers that perhaps wasn’t there before. This is especially important for online businesses where the human to human interaction is missing. Keep your business holiday cards personal by addressing the inside to each person’s name, keeping the messaging close to your brand feel and using a sign off that’s unique. While the holidays may be your sales peak season, your business holiday cards shouldn’t be the place where you sell. At least not blatantly so. By simply reaching out to your clients with a personal holiday card, you’re placing your branding in front of potential sales. You’re selling without coming out and saying BUY THIS. And while discounts and other marketing tactics work well with things like email marketing — think about keeping them out of your business holiday cards. With that said, if you’re itching to give your best clients a little something with your personal business holiday cards — give them something bigger than usual. Make this discount stand out. Make it unique from your other promotions so that the card doesn’t feel like just another sale. If you have the name of each customer, you’ll want to address them personally from the get go. ‘Dear Joe,’ OR ‘Joe,’ — If your branding is a little less serious, you may want to address your cards directly to the recipient’s first name. You can even simply address the card to the recipient’s name and skip the ‘dear’ if it feels aligned with your branding. ‘Dear Mr. Smith,’ — If your branding is on the more formal side, address your cards to your recipient’s last name and use a title. ‘Dear Valued Customer,’ — If for some reason you don’t want to include the recipient’s first name you can replace this with ‘valued customer’. This option is less personal and may result in the message feeling a little more distant. Still unsure what to actually write in your business holiday cards? We got you. Here are some short tid bits to get your thinking wheels moving on what to write in your messaging. Sending you the warmest greetings and warmest wishes for the new year. Peace on Earth. Wishing you all the wonderfully joyous greetings to you and yours this holiday season and the upcoming new year. The year may be coming to an end, but our work to make your life easier never stops. Wishing you and yours all the best here at [company name] and look forward to serving you in the near future. 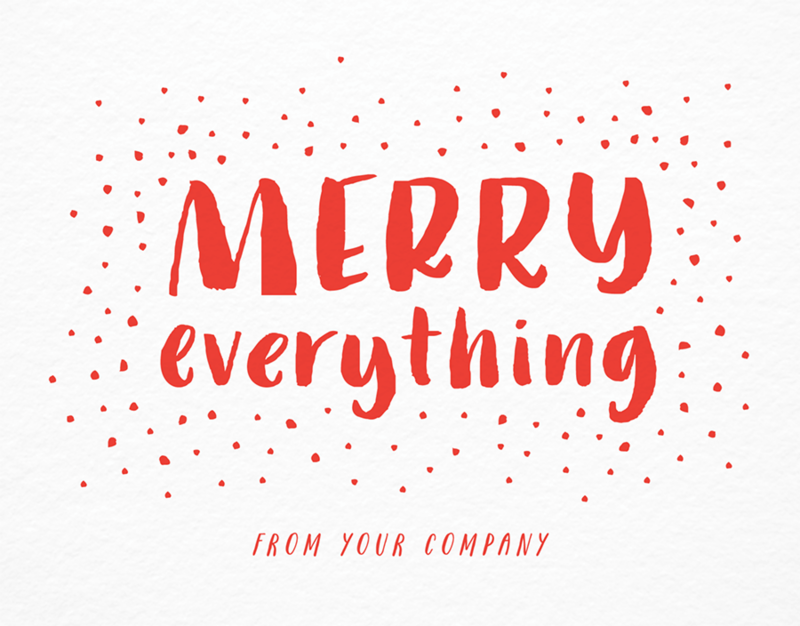 Best wishes to you and yours from everyone at [company name]. May the joy of the holidays be with you in the upcoming year. Cheers to a season filled with warmth, comfort and good company! Cheers to a happy new year from everyone at [company name]. Thank you for making us so merry all year — cheers to you this holiday season! And a happy new year! ‘Tis the season to give you a big ole’ thank you! Happy holidays! Thank you for your continued support and business. We look forward to serving you in the upcoming year. It’s the jolliest time of the year! Thank you for being a part of the [Company Name] family. We appreciate your business and look forward to another year of opportunities. That should be enough to get you started. And remember if you want to save yourself time and hassle, you can use the Postable tools available to easily send your business holiday cards in minutes. Postable will print, address and mail all of them out for you. Easy. 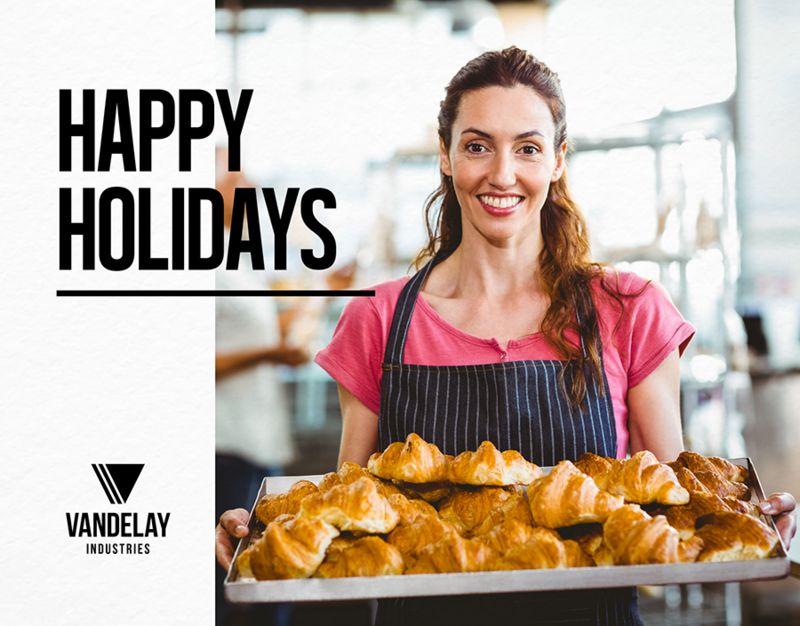 Checkout all of the business holiday cards here.